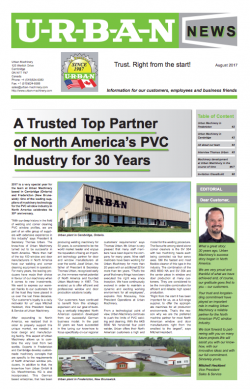 Urban Machinery celebrates its 30th anniversary in North America this year. The German-based company expanded into facilities in Canada including Cambridge, Ontario and Fredericton, New Brunswick, in 1987, and has a total of more than 50 years in business. “We want to express our warmest thanks to our customers for all the trust they have placed in us over the last three decades. Our customers’ loyalty is a daily motivator for us,” says Vice President of Sales & Service Mitchell Heckbert. Officials also note the company’s commitment to low employee turnover through the years. 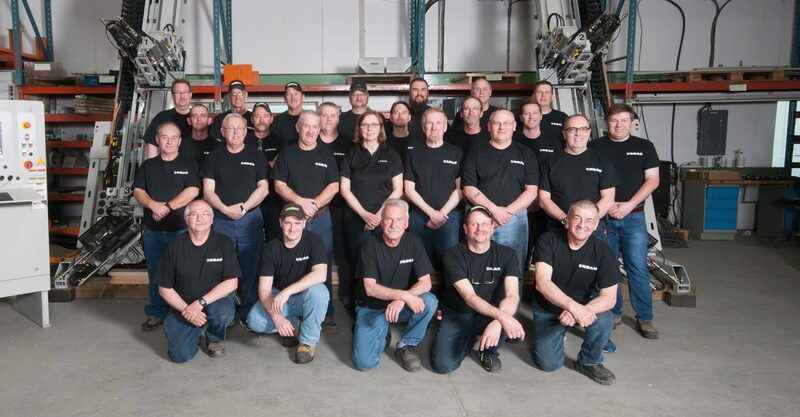 Nine staff members have been working for Urban Machinery for more than 20 years with an additional 22 for more than ten years. “That’s the proof that many things have been executed the right way since inception. We have continuously evolved in order to maintain a dynamic and exciting working environment for all employees,“ says Rob Macaulay, vice president of operations.